The planned itinerary for this trip had us taking an overnight flight from Bogotá (Colombia) to Santiago (Chile), scheduled to depart just before midnight. The red-eye journey, though not particularly pleasant, was supposed to save us the cost of a night in a hotel. Two days before the event, however, we received an e-mail (and several automated phone calls) advising us of a three hour delay. Rather than spend this time in the airport, we took the decision to retain our hotel rooms and get a few hours sleep. This worked out pretty well in the end; I managed almost five hours before my alarm blasted me awake just after midnight. The airline provided us with a food voucher to use in the airport, the first time in my life I've eaten breakfast in McDonald's. 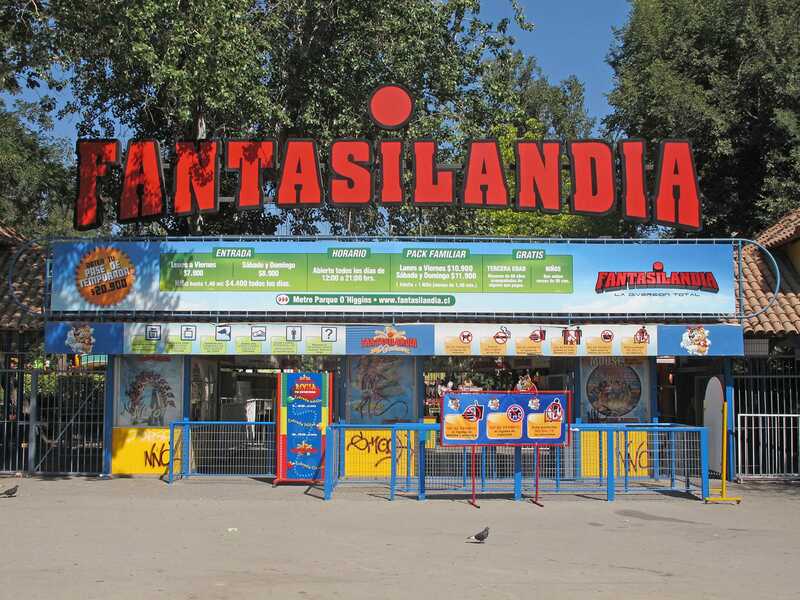 The school holidays in Chile run from late December to late February, and as such January is not the ideal time to visit a major park in Santiago, especially one which sometimes fills to capacity. The delayed flight meant that we arrived about twenty minutes after opening, by which stage substantial queues had already built up all over the park. By mid-afternoon, the place was completely rammed with people. The Wild Mouse (#1715) was equally disappointing, mainly because the cars barely spun at all. Ours managed about ninety degrees of rotation for the duration of the course, and based on my observation this was the rule rather than the exception. It was interesting to see that the standard Zamperla lap bars on this ride have been augmented with a rope that runs through the handles on all four bars before being hooked into a bracket on the side of the car; might the park have had a restraint failure at some point in the past? Our next stop was at Casa Fantasma, an excellent dark ride filled with some very high quality scenery. The two-seater vehicles were equipped with guns, as might be expected on a target shooting ride, but there were no targets to hit – unless you count the live actor stalking around the latter part of the ride! He wandered into the queue area at one stage, thoroughly frightening the guests who didn't see him approach; this is not something I've seen happen elsewhere. The park also has an up-charge horror walkthrough, Castillo Encantado, which features more live actors; I decided to give this one a miss. As off-the-shelf designs, both the Boomerang (#1716) and the Galaxy (#1717) proved to be exactly as expected. The powered Dragon, however, was not; the motor speed on the train had been turned down to the bare minimum, so that the climb to the top of each spiral took an eternity. There was a definite sensation that the train might not actually make it. I've never counted these rides and don't intend to change my policy now, but it's worth noting that this slow ascent made the experience feel far more like a real coaster to me; the descending spirals were at their normal pace, showing that this ride really does operate primarily on momentum. 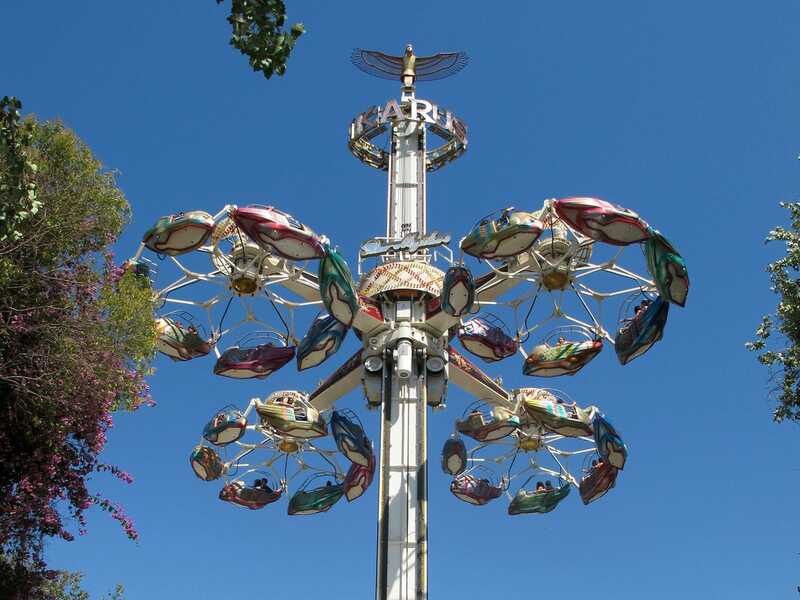 The last attraction I tried was Ikarus, a Huss Condor with an unusual ride programme. The cars were only spun at full speed while at the base of the tower; the spinning was reduced to half power while climbing.. The experience was a pleasant way to spend a few minutes, but wasn't thrilling enough for me to consider repeating. I still think these rides could be fabulous if combined with a shot and drop tower. Are you listening, Huss?